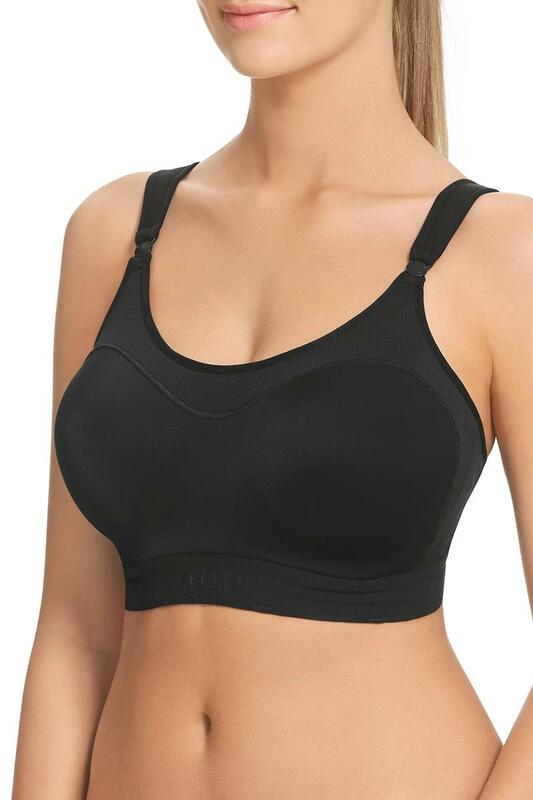 SF4 bounce reduction enables the underwire bra to perform at an elite level with extra features that bring convenience into excercising. Designed to hold a heart rate monitor and MP3 player. 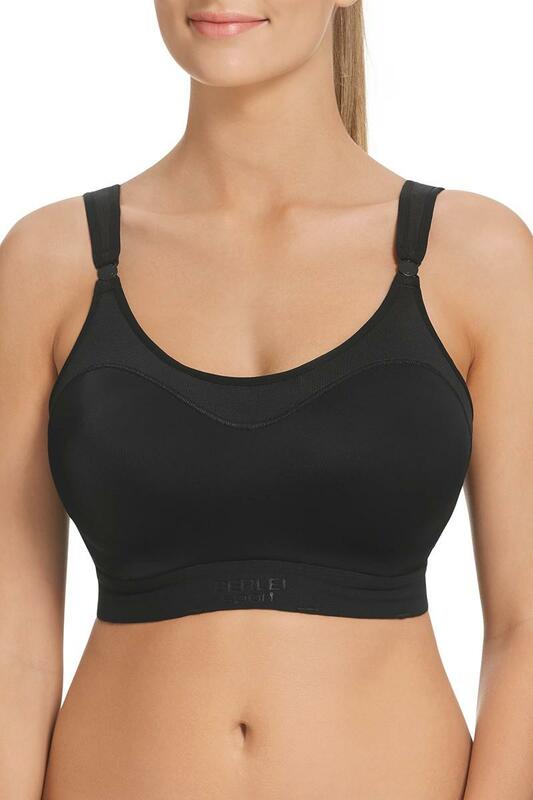 Perforated contour cups for breathability and cooling of the body. Seamfree comfort styling to reduce chafing. Racerback clip and hook adjustment for multiple shoulder strap position to suit most sports tops. Swivel front shoulder strap clasp moves and flexes with your body. Moisture wicking padded shoulder straps, underbust and body band to minimise irritation in high rub areas.